The Universe is a mind boggling big place and the Marvel Universe is no exception. I’ve written a few articles about some of the more obscure Marvel Characters and I thought I had a good handle on many of them. When I found a few references to some old characters that were floating around the ethereal plane that I’d never heard of, I decided that it was time to write another article about these forgotten characters along with some of the ones I’d left off from the last article. This time, I wouldn’t be so choosey when it came to good guy or bad guy. The point would be they’ve been pretty much forgotten and ignored. The truth is there are too many to count. I had only tripped across some of these when I’d gotten a wonderful gift from my wife. She had given me the entire three volumes of “Marvel Firsts” from the 1970’s. Yes, I can hear you now. “So what,” you say. “Who cares?” You say. Let me tell you about comics in the 1970’s. We had a lot of good character premiers. Characters like Luke Cage, Iron Fist, Deathlock the Demolisher, Machine Man, Tigra, and Brother Voodoo came to the forefront during that decade. Granted, there were a whole bunch of bad starts. 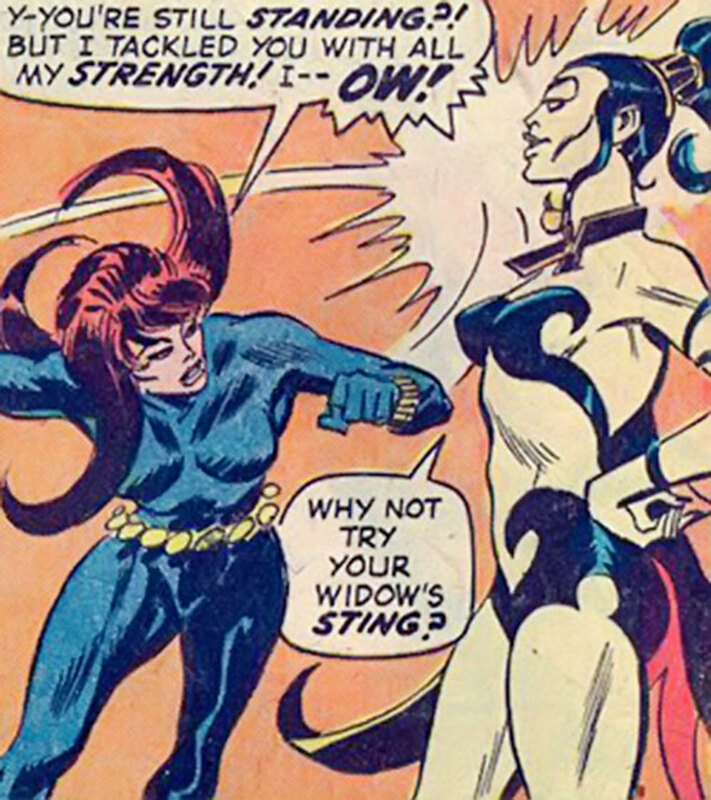 The premier of “The Cat” launched Greer Grant Nelson in her pre-Tigra days in a costume that would eventually be worn by Patsy Walker, aka Hellcat, fizzled out within the same decade. Good concepts were doomed to bad writing. I still see some potential in the permanently deceased Ulysses Bloodstone, Immortal Monster Hunter. A character so wrapped in wannabe Lovecraftian Cthulhu characters that it is a mystery how such a character could fail. Even as I write this I’m going through a list of characters in a mental scratch pad and thinking one character is more obscure than some of the original characters I’ve already considered. 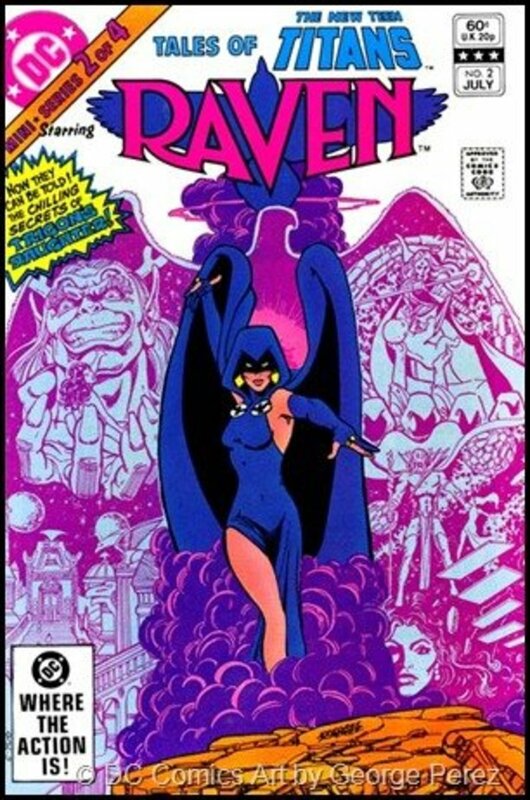 With that in mind, here are five more really obscure characters from the Marvel Universe. Those of you who were born after the late 70’s missed the entire “The Devil is Coming to Get You” era. Trust me, what modern movie producers and directors do with CGI and special effects, the old movie makers did with plot and intonation – and, okay, a bit of spit pea soup, too. Still toted as one of the most frightening supernatural film of its generation, was The Exorcist made in 1973. It was a story of a little girl who was possessed by the Devil. Prior to that was Rosemary’s Baby starring Mia Farrow. That was a story of a woman who becomes pregnant with the Devil’s child. There were a slew of other films that came out like Devil Rain, Prince of Darkness, and Race with the Devil which would almost inevitably have a guest spot for Beelzebub. I think you might see a theme here. Back in the 70’s the Devil was a big movie magnet because there was nothing more horrifying than having Mephistopheles pay a visit into your humble home and invading the body of one of your kids. Marvel Comics jumped on the bandwagon and came out with their own bits of occult nastiness like The Son of Satan, Ghost Rider, Brother Voodoo, and Werewolf by Night where deals with the Devil, Devil spawn, occult mayhem, and monster curses were almost a common occurrence. Enter Gabriel the Devil Hunter. Gabriel comes to us as the Jason Blood of the Marvel Comics set – minus the demon, Etrigan. He is not only the survivor of demonic possession, an experience where he had yanked out his own eye at the will of the demon possessing him, but has lost his first wife to demons. 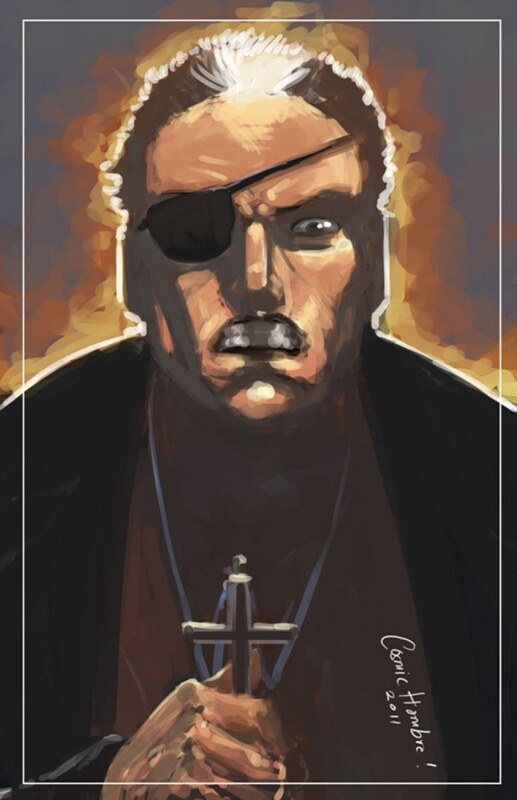 As he has only one eye, he gets to wear the ever-so-cool Nick Fury eye patch and keep the streaks of gray hair on his head – which obviously came from such a traumatic experience. The stories are Catholic possession on steroids. Gabriel has branded a cross onto his own chest to prevent further possessions. While the majority of heroes in the Marvel Universe haven’t quite recognized Gabriel for being a top notch demon fighter and have made Doctor Strange their “go to” guy, his stories are pretty good for what they are. He’s a normal guy who’s studied the occult and when the situation calls for it, he can pull out his can of whupass on any demonic filth taking residence in your toddler. Unfortunately, Gabriel’s fate was to descend into depression and alcoholism, eventually lose his mind in a confrontation with Daimon Hellstrom (The Son of Satan) and, ironically, is now in the care of Isaac Christians, the Gargoyle (a man possessing a demon). Those of us who’ve been reading comic books for a long time have recognized certain symmetries. Many of these are not coincidental. Marvel does this quite often. They also did it with the Shi’ar Imperial Guard and the Legion of Superheroes. There are rumors that that entire incarnation came when they started using Wolverine’s hairstyle on Timberwolf. And now we have the Scarlet Scarab. If you take a moment and clean your glasses you might be able to see “Blue Beetle” there somewhere. There are two incarnations of the Scarlet Scarab which are almost identical to that of Dan Garret and the current incarnation of the Blue Beetle. 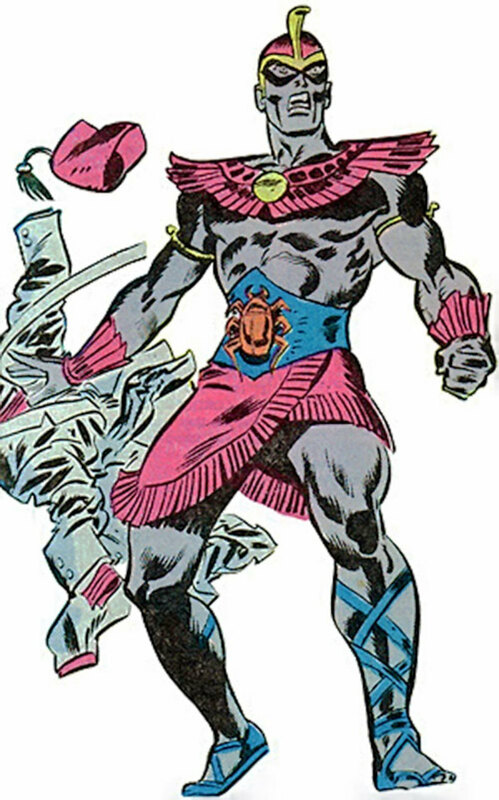 As a matter of fact, the Scarlet Scarab is an homage by writer Roy Thomas to Blue Beetle as he’d gotten his second professional comics story writing for that character. The Scarlet Scarab is archeologist, Abdul Faoul who finds a ruby scarab during World War II. The scarab gives Faoul mystical powers which he uses to fight as a champion for Egypt. Working with the Namor and The Original Human Torch, he fought against the Nazis until the end of the war. After the war, the scarab just disappeared. Faoul spends the rest of his life searching for the scarab but fails to find it. On his deathbed, he implores his son, Mehemet (somewhere he found time to have a son), to keep searching for it. Eventually, he finds the scarab again and continues his father’s mission. He hasn’t been seen much in a few decades, but there you are… forgotten. The Scarlet Scarab made his first appearance in Invaders #23 and the second Scarab was in Thor #326. There is nothing like naming your character after one of the most used pronouns in the English language. It follows in the footsteps of naming characters like Him, Her, and THEM – who eventually became Adam Warlock, Kismet, and Hydra. Only It stayed It until it was destroyed. “It” was a giant 100 foot granite statue brought to life and possessed by alien invaders to wreak havoc in the Soviet Union. These aliens would then abandon the statue and leave it immobile. When the statue was transported to Los Angeles, the aliens reanimated it again. This time It was stopped by a special effects designer Bob O’Bryan. O’Bryan was able to possess the statue himself. After losing the use of his legs, he was still able to control the statue and used the It to battle such monsters as Fin Fang Foom as well as a monster called Granitor. It was reduced in height by unknown means from 100 feet to 30 feet and then brought back to 100 feet again. His main enemy was a villain called Doctor Vault. 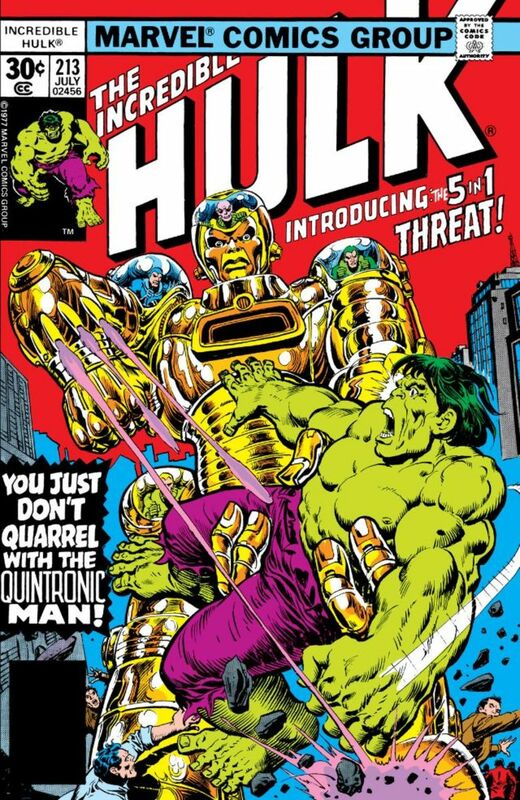 Doctor Vault was able to usurp the control that O’Bryan had over the statue and decided it was a good idea to fight the Hulk in this form. The Hulk, of course, destroyed the statue effortlessly. The statue, while it was active, had tremendous strength, could fly, and did not require oxygen – so it could battle underwater. However, for some reason, it could be rendered inactive by nerve gas or knockout gas. 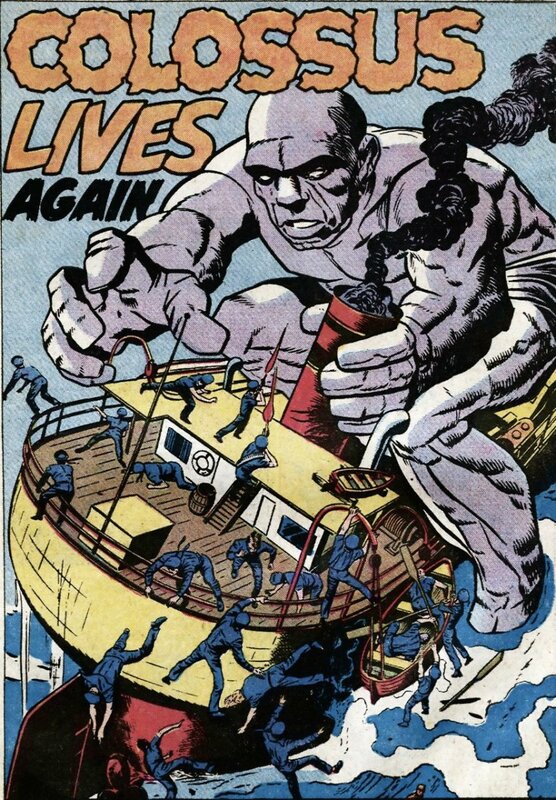 It first appeared in Tales of Suspense #14. Oh to be a fly on the wall when Marvel starts pitching new characters. Genius – which is to say this kind of creativity usually comes to a concussed four year old. I’m sure that the editor and chief was thinking of the sexual connotations of a name like “man drill”. In addition to this, they introduced him with a female counterpart, Nekra Sinclaire. Their story is that they are the offsprings of a scientist and a cleaning woman who were caught in an atomic burst (the two were not a couple). The scientist and his wife gave birth to a freakish male child with unusual features. The cleaning woman gave birth to a daughter with chalk white skin and fangs. The boy began to develop an appearance similar to a mandrill and grew tufts of body hair. In addition to his monkey-like appearance, strength and agility, he began to secrete pheromones that made him irresistible to women. Calling himself the Mandrill he began a life of crime with his partner, Nekra. The powers that Nekra developed were completely different. 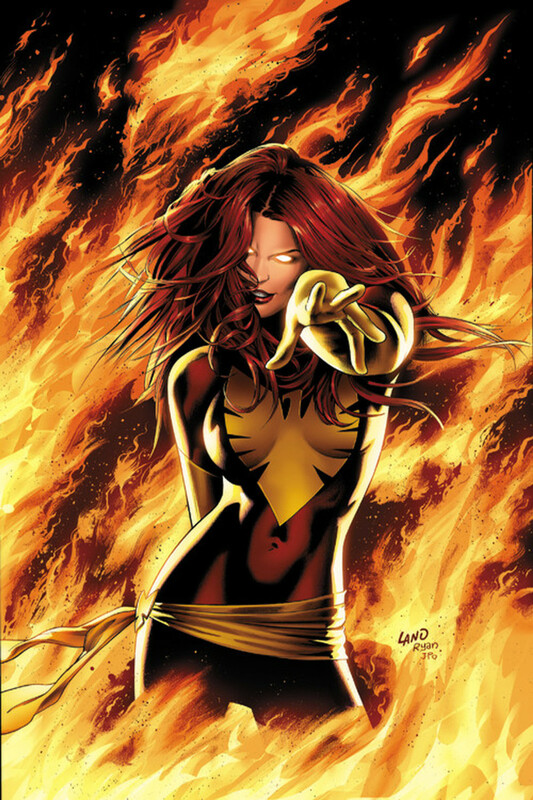 She was able to take intense, violent, emotions and turn them into super strength, invulnerability, and endurance. Sort of like a low level Hulk. At maximum, she could press ten tons and withstand an explosion of 100 lbs. of TNT. Together they created a cult hate group called Black Spectre (made almost exclusively of women) and attempted to overthrow the US Government. This attempt failed. The Mandrill pops up every so often as filler in a large criminal organization. He was last taken in with the Hood’s gang and is currently doing time. However, Nekra was apparently was killed along with the Grim Reaper when the Vision exploded. 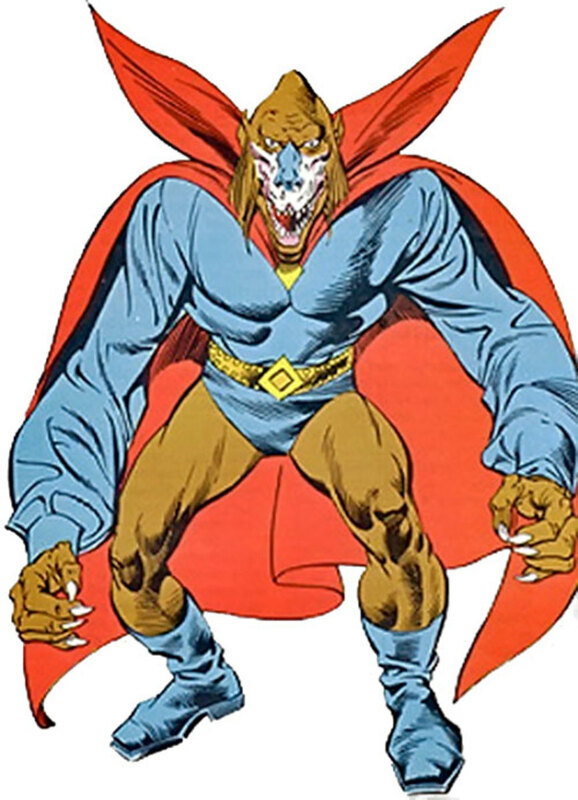 The Mandrill made his first appearance in Shanna the She-Devil #4. When a writer gives your character a name like Bill “Bull” Taurens, you really are going to be stuck with one type of power – and you won’t have the powers of a canary. What a lucky day Bill Taurens had when a mad scientist was looking to get test subjects to test his experimental bull serum. Imagine the odds. Well, Bill was chosen to be the guinea pig for this bull serum which you’ll never guess what happened to him. It turned him into a humanoid bull. He’s got super strength, horns, and likes to charge into things. You know, bull in china shop sort of stuff. He gets a chance to battle Daredevil and then has an opportunity to fight Tigra in a bar room brawl. 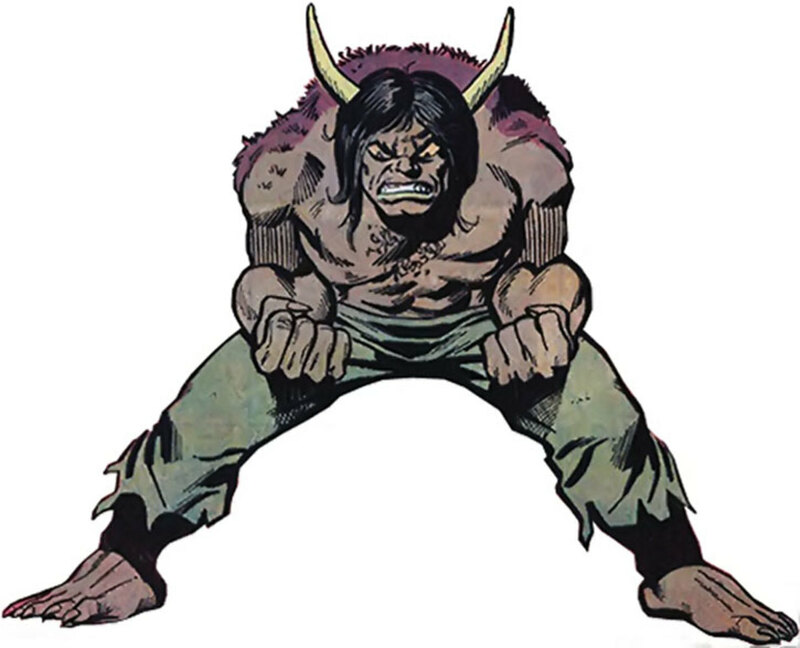 Of course, fate isn’t done with the Man-Bull yet because the serum causes him to mutate further. He loses the power of speech and grows a tail. Eventually, he can talk again, but that’s after he faces off against the Gray Hulk. Man-Bull, like the Mandrill, usually pops up as filler in larger criminal organizations. 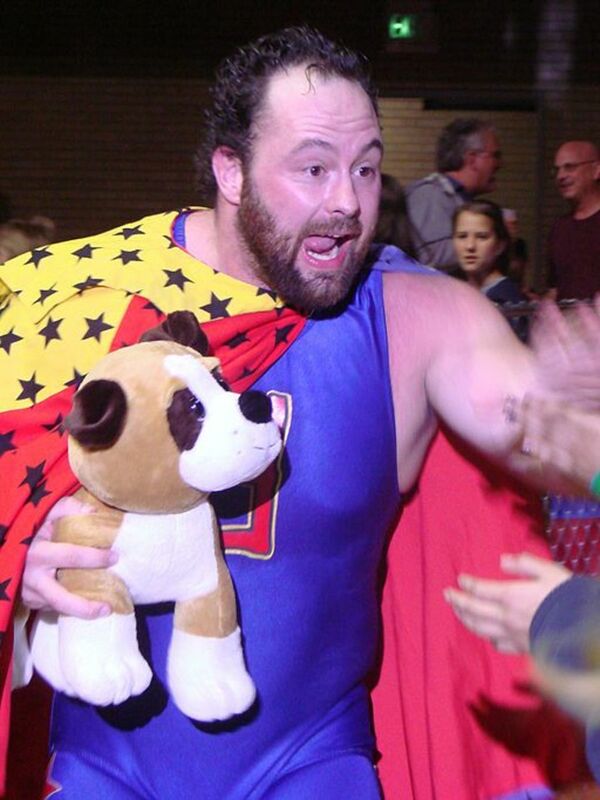 He usually fills the role of head lackey or can be found when the writer needs villains with an animal theme. He’s still around, but is used sparingly. So many of these guys came up in the 1970’s. I really don’t know what was passed around the Marvel writing room, but I would like to get some for recreational purposes. Normally, I take a look at some of the dialogue pumped out by Stan Lee and I shiver. Then I take a look at some of the stuff put out in the 70’s and I get dizzy – and it’s not a good dizzy either. When you combine the world of the psychedelic with things like Blaxploitation and the hipness of the early part of that decade, you get some poor comic book writer who has no clue about any of it, writing laughable dialogue. Then they make some characters. Granted, some are really good. I’m frankly amazed at the staying power of characters like Luke Cage and Iron Fist. But from their humble origins, other writers have been able to stand on their forefather’s shoulders and come up with some really awesome storylines. Others, like Gabriel, Nekra, The Mandrill, and The Man-Bull got the short end of the “Giant Sized Man Thing”. Very good hub, i really do not know any of the above characters. Thanks a lot for sharing this good hub. Good job, as usual! The only one that you even mentioned in the entire piece that I knew was Brother Voodoo, whom I like. And Fin Fang Foom, whom I voted for. But the only reason I know of him is because he was in the first issue of Nextwave.